Winter Tales II: Women on the Art of Aging, RA Rycraft and Leslie What, Eds. You are at:Home»Uncategorized»Winter Tales II: Women on the Art of Aging, RA Rycraft and Leslie What, Eds. – There is one thing we all do, regardless of race, creed or color: we age. Since there’s no avoiding it, we might as well do it gracefully, thoughtfully, artfully. 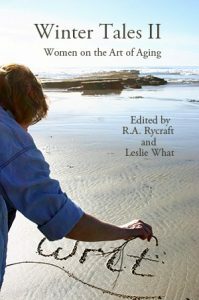 And so, editors Rycraft and What have created a collection of poems, essays, photos and cartoons on the female response to aging that presents us with a full spectrum of perspectives: the humor, the horror, the irony, the resistance and the resignation. By reading an anthology such as this we can stand shoulder to shoulder with others who are aging as we are, to have that feeling of relief that we are not going it alone, that “she feels it, too, in many of the same ways I do!”. Throughout this book are moments of recognition that make it so satisfying as a reader, as a woman, and as a human being. Part of our own aging is the sudden upside-down world we are cast into by our parents’ aging. And no anthology can be complete without including this. For as old as we get, if they are still around, our parents are that much older, foreshadowing our journey. And no matter what the parent/child relationship was in our youth, in our adulthood that relationship trades places: the parent becomes the child. In Mother’s Day, Laux writes: I passed through the narrow hills/ of my mother’s hips one cold morning/ and never looked back, until now, clipping/her tough toenails the yellow of blanched corn,/sitting with her on the bed’s edge,/combing out the tuft of hair at the crown/. This is a collection you can take to bed with you and lose yourself in as you find yourself page by page, essay by essay, poem by poem. 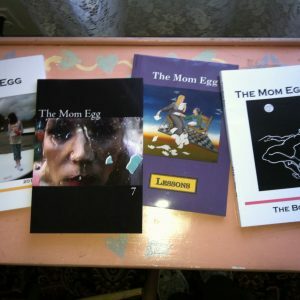 Linda McCauley Freeman has an MFA in Writing and Literature from Bennington College. She was the poet-in-residence for the Putnam County Arts Council for five years overlapping with an eleven-year corporate career as Executive Director of Global Communications for an international firm. She is a columnist for Living & Being Magazine and a three-time winner of the Talespinners Short Story contest, in which she finally was asked to be a judge alongside Simon & Schuster editor Michael Korda and children’s book author Da Chen. 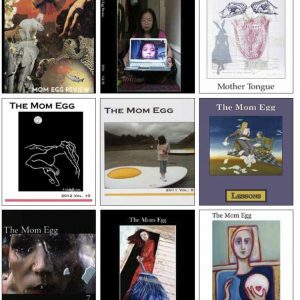 Her works have been published in literary journals including the MOM EGG. She is working on a novel. Since 2004, she and her husband, Chester, have been full-time swing dance instructors in the Hudson Valley, NY www.got2lindy.com.